Congratulations on your new home! Now you just have to think how you are going move and pack everything without spending a lot of money. While most people would say that moving is stressful, there are some ways to make sure you have a much less chaotic and stressful move. If you want to get started with moving, then you can use the tips we're going to present you with here. That way, your move can be a lot less stressful for you to deal with. This is one of the most important parts of moving. If you are downsizing, for instance, then you need to get rid of what you don't need. Or, even if you're moving to a bigger place there may be items you have that you no longer need. Try using the three box technique. Basically, you have one to donate, one to keep, and one to throw out. Start with any room in your home and sort out what you have. Remember that your memories are in your mind and not attached to items. If you are afraid you'll miss them, you can always take a photo of the items you're throwing out. There are sites like Facebook, Ebay, and Gumtree where you can sell items. It's super easy to use these sites. You don't want to put the items aside for a while and not get to them until later because you need to get rid of them right away. Plus, you'll also make some extra money which you probably need when moving into a new house for things like new furniture. If you have a lot of boxes full of donations, you should take them to where they can be donated right away. A lot of people forget to take their items in to be donated and they end up back in the home without being given away. You don't need to spend money on things like bubble wrap if you use some of your shirts and other clothing to keep items from breaking. Just wrap the items in your clothing and they will be kept safe. It also helps you to put multiple breakable objects into the same box. If you have left over clothing, you should roll the items up instead of folding them. You can fit a lot more into a suitcase if you roll clothing up. However, if you dislike ironing your clothing it this may not be the best idea. You should also have what is known as an overnight bag at the ready. This bag should be packed like you're taking a weekend off and should have your clothing, toiletries, and chargers in it. If moving a home takes a little longer than you thought or if you're not able to unpack right when you get the moving van to the new place, you'll still be set for the day you get to your new place. If you don't own a vehicle that can move all of your items, it's easy to find a van rental that you can rent. There are also moving trucks, but you have to have a truck license in some areas so not everyone is able to go that route. If you think it's going to take you a couple of days, you're going to want to book a moving van for a couple of days. If you end up using the van longer than the booking will take, you're going to end up having to pay fees. 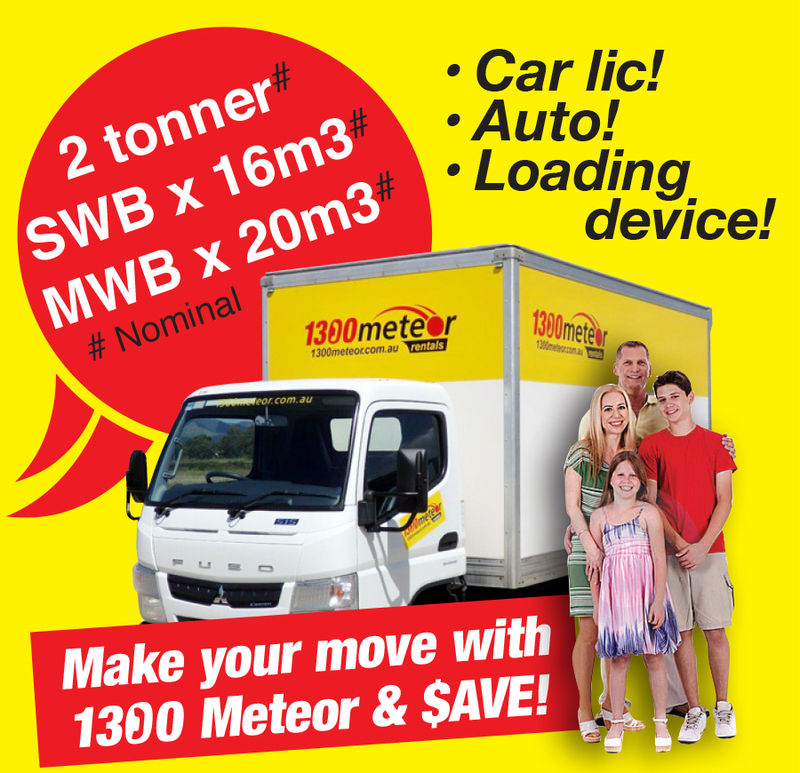 Booking a truck or trailer only to find not everything will fit would create a significant issue. Specifically walk through your house and complete a furniture volume calculation for your move, using our easy to use furniture volume calculator. This will enable you to determine the size of the furniture truck and/or trailer you need for your move, particularly if you are moving out of town and making a single trip only. Move yourself and save, local, interstate & one way! 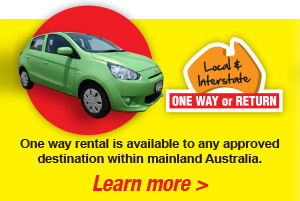 7m3 to 42m3, auto car licence models are available in 1300 Meteor Rentals. Check out other trucks in our range, including tray & dropside trucks, tippers and crane trucks - only the best gear you can rely on. Drivers' Log Books are not required to our furniture truck range. For instance upon arrival at your new residence the first thing you might want to do is have a cup of tea or coffee, so the moving carton containing the kettle, cups or mugs and tea/coffee supplies should be loaded last (last on / first off!) Getting the fridge up and running soon after you arrive might also fall in the same category.